When I first saw Kancho, I thought it was just a Koala's March (a.k.a. Koala Yummies) knockoff. But then I found out that the company that makes it, Lotte, makes both products. Um... seriously? 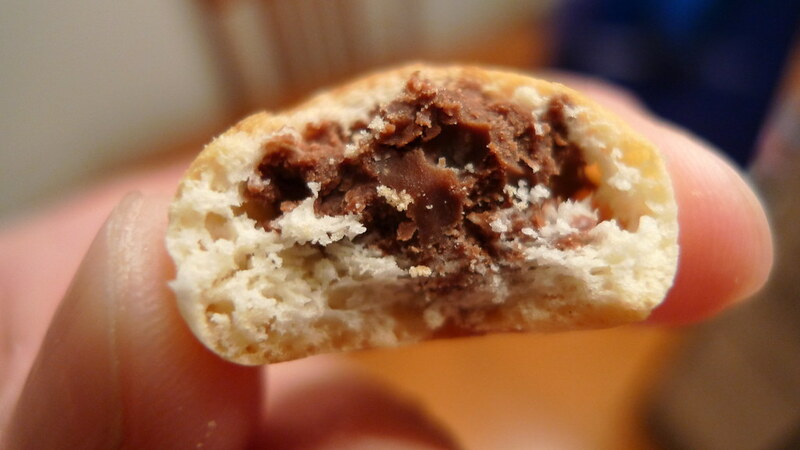 If you haven't eaten either product before, they are basically bite-sized chocolate-filled cookies. There are plenty of other versions of these like Hello Panda, and then there's also different flavors like strawberry and milk. 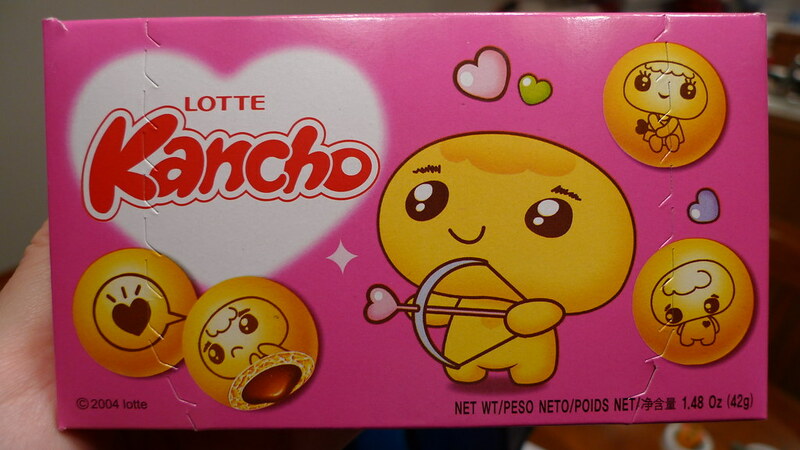 I have also reviewed Meiji's Pucca which is a strawberry-filled pretzel cookie. 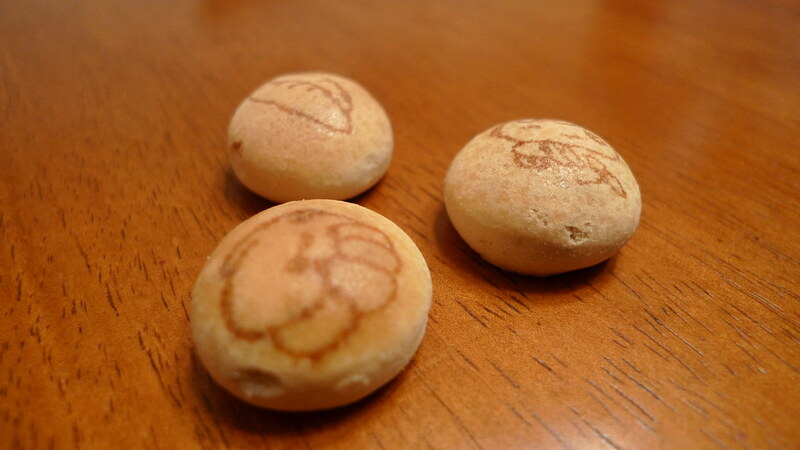 A bite into a Kancho cookie. I have not compared ingredients, but I can't imagine that any of these cookies are too different company-to-company. Kancho is strictly circular. Still, I think I favor Koala's March over Kancho. A lot of it has to do with the texture of the chocolate. It seems to be more crumbly in Kancho and more solid in Koala's March. Plus, I think there's more chocolate in Koala's March. Has a nice crunch to it, as well. Other side of Kancho box. 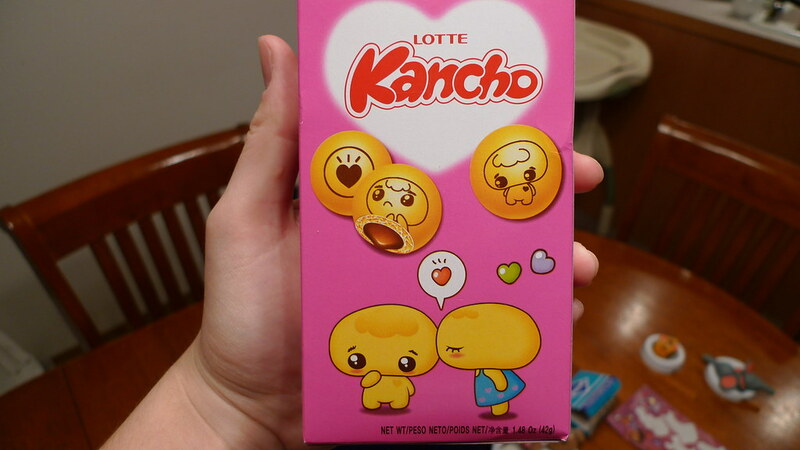 Still, Kancho is a simple, tasty snack that kids would enjoy. The box is cute and so are the designs. Julie liked them and your kids probably will, too.